Individuals following a ketogenic or low carb diet often see significant results. However, there are often various side effects. One of the most common side effects is what some call “keto breath” or diet bad breath. With little or no carbs, ketosis dry mouth is common. Few know that a prolonged dry mouth, however, can cause lasting damage to your teeth and gums. Although it is expected as normal with this way of eating, it should always be taken seriously. Keto Breath – Why does it Happen? Keto breath is a term used to describe intensely bad breath that occurs in individuals who are using a low-carbohydrate and high-fat diet. This stimulates the ketosis process within the body. Ketosis is a specific metabolic state in which the number of ketones present in the body’s tissues is higher than what is considered normal. Low carb dieters believe ketosis is the ideal state because it encourages the body to burn stored fat. Ketones, especially acetone, a specific form of ketone, are excreted by the breath and through urine. Keto breath often creates a fruit-like smell that is particularly strong. It is not only possible to smell it, but also to taste it. A metallic, dry-mouth feeling tends to occur. For those on a low carb diet, keto breath seems like a distraction. However, it is a warning sign for a potential problem. In terms of the diet and your overall health, this type of breath is not necessarily a bad thing. However, it causes changing conditions within the mouth. The drying out of the mouth is very worrisome for a number of reasons. Most importantly, it encourages the production of potentially harmful bacteria. These bacteria can cause significant damage to your gums and teeth if left unchecked. It is also important to point out that many people seek a ketosis breath remedy because having stinky breath is very embarrassing. When your mouth and every word you speak smells like fruit that’s beyond its prime, you can find yourself being socially isolated and worried about what others may think. Drinking more water. It is important to drink plenty of water on a low carb diet. However, drinking more water may not get rid of the constant dry mouth feeling that is so common with this diet. Eat parsley. This is another common recommendation for treating keto breath, but it only really masks the smell. It does nothing for the drying out of the mouth, the uncomfortable feel, or the underlying complications. Brush more often. Brushing your teeth is important, but this recommendation still will not help to moisten the mouth long-term. Moreover, brushing too often and not in the correct manner can actually do harm to your tooth enamel and contribute to a receding gum line. Eat keto breath mints. This common recommendation is actually a very big problem. Breath mints contain a large number of artificial ingredients (and sometimes sugar, too) that lead to further damage to the teeth. Artificial dyes and artificial sugars can have a cumulative negative effect over time also. Use mouth wash. Most mouthwashes contain alcohol. Alcohol can kill bacteria. However, it dries out the mouth further, creating a problematic situation in which bacteria can actually flourish. Sometimes mouthwash also contains Triclosan and fluoride in it, both of which are worrisome for your health. Furthermore, it may contain such food dyes as FD&C blue no. 1 and FD&C green no. 3. Sodium Lauryl Sulfate and Fluoride are additional ingredients that are controversial. One solution free of these substances is OraMD toothpaste. As you can see, most of the recommendations for treating keto breath are not in and of themselves ideal and are not complete. They may contribute to a further drying out of the mouth, which can lead to further damage. If you plan to maintain a low carb diet, then you will need to learn more about how to best manage keto breath long-term. Before considering a solution for keto breath, consider why it is absolutely risky to allow the use of these types of “treatments” for keto breath. If you use any product or method that dries out the mouth, it will lead to a complex problem. Here’s what happens. Mouthwash can cause a drying out of the mouth. The moisture within the mouth is vital to protecting your gums and overall tooth health. It is the moisture within your mouth that actually helps to wash away the uncontrolled bacteria present there. When a person suffers from dry mouth, especially chronically, the bacteria is able to flourish. When this happens, the bacteria develops quickly. This creates a buildup of plaque and inflammation of the gums. As it worsens, it pulls the gums away from the teeth, exposing the root. And, as that occurs, the bone of your mouth becomes infected and inflamed. This condition may progress from gingivitis to periodontitis, possibility leading to receding gums and tooth loss if left unchanged. So the key to healthy gums and teeth is to create an environment in which your body is able to naturally heal itself and function keeping naturally occurring bacteria under control. What Can Be Done About Keto Breath? Fighting off keto breath is important, but avoiding drying mouth is even more essential. One solution is to daily use botanical oils that are proven to kill bacteria. 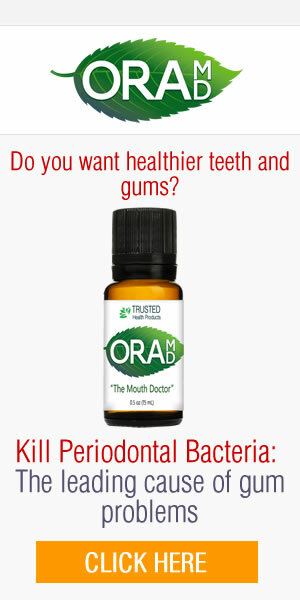 The oils kill the bacteria in the mouth, yet will not dry out the mouth. Many mouth solutions are used often, but they are quickly rinsed out. Apart from the irritating ingredients of toothpaste, they do not provide the long-lasting presence that oils provide. The oils are not rinsed out and remain in the crooks and crevices of the gums and teeth, where bacteria must be combatted and controlled 24×7. They kill naturally the bacteria that are causing keto breath to occur in the first place. They keep the mouth moist, thus allow the body’s natural production of saliva to cleanse the mouth routinely. Botanical oils also have a fresh taste and smell to them – further helping to curb those smells and leave a low-carb mouth smelling fresh. Here is what you need to remember about keto breath. If you have it, that means you are likely consuming a very low number of carbohydrates. For some people, this is a safe diet and a very effective way of losing weight. You need to curb keto breath, however, if you plan to continue to follow this protocol. Therefore, you should prepare in advance and incorporate the best type of oral hygiene in order to protect the gums and teeth. Damage is often more difficult to reverse. So it only makes sense not to let it happen in the first place. Too many people in the ketogenic or low carb way of eating neglect the possible risk to their dental health. The risk is amplified by a very important point. According to the Centers for Disease Control, 47.2% of adults at age 30 are at some stage of periodontal gum disease. By 65 years of age, the number skyrockets to 70.1%. These percentages reveal a very sobering reality for low-carb dieters. From this information, we can deduce that most people who start a keto or low carb way of eating already have some underlying periodontal gum disease in progress. So with low carb diet ketosis and the possibility of dry mouth, this is a recipe for accelerated damage to the gums and teeth. It is essential that you are reversing gum disease on a daily basis with your habits and dental care. You risk long-term periodontal damage due to out-of-control bacteria and their destructive consequences if you do not properly guard against one of the side-effects of a low carb or keto diet. Some say that the mouth is the gateway to your health. If your dental health is compromised, then so is your over health. Protect yourself from dry mouth. Do not achieve one goal (fat loss) while creating another problem (tooth loss). Achieve your fat-loss goal, but do so while protecting the gateway to your health, your teeth, and gums. As they say, “an ounce of prevention is a worth a pound of cure.” Do not put it off. Learn more about what you can do to protect your gums and keep your teeth. 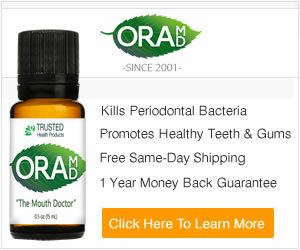 Discover how a botanical three-oil solution was scientifically proven to effective kill common bacteria that are involved in gum disease. It kills bacteria, keeping your mouth fresh and coated so that your body can properly heal and care for itself. Don’t mess around with keto dry mouth. 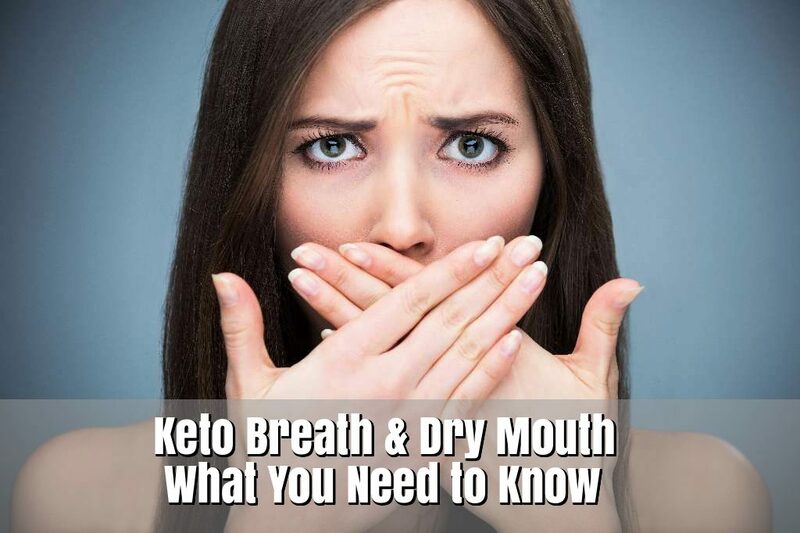 Watch this video to find out more how to protect yourself from dry mouth and keto breath.